Elegantly updated and spacious home in American River Canyon. Located on a quaint cul-de-sac, this custom home was remodeled in 2013, including a new roof, kitchen, flooring and baths. With 3994 sq ft, 4 BD and 3 BA it exudes charm and warmth. The gorgeous French Country kitchen has large granite island, custom cabinetry and top of the line GE stainless steel appliances, which opens to the family room complete with built-in cabinets, custom fireplace mantle and wet bar with wine refrigerator. Downstairs full bed + bath and 2 large upstairs bedrooms with Jack and Jill bath. Master suite with double sided fireplace, large sunlit bath and enormous U-shaped walk-in closet with tons of storage. Enjoy summer nights in the manicured and private pool-sized backyard. Formal living and dining rooms with hand-scraped hardwood floors, fireplace and soaring ceilings. HVAC 2 yrs old. 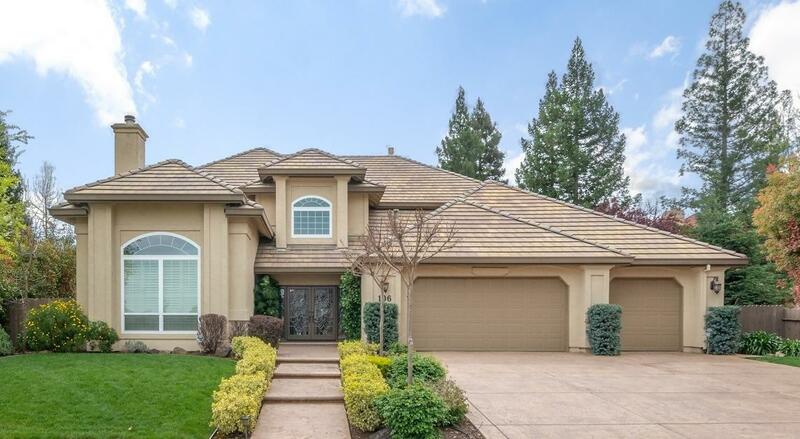 Top rated Folsom Schools and close to parks, American River Bike Trail and Folsom Lake.